Rediff.com » Business » This Apple computer is worth Rs 3.7 crore! This Apple computer is worth Rs 3.7 crore! A fully operational Apple computer that company co-founder Steve Jobs sold out of his parents' garage in 1976 for $600 will hit the auction block in December, where it is expected to fetch more than half a million dollars, Christie's said on Monday. 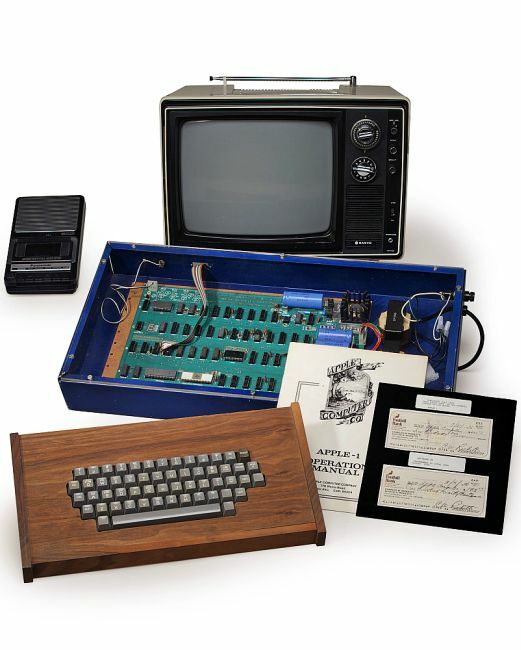 The so-called Ricketts Apple-1 Personal Computer, named after its original owner Charles Ricketts and being sold on Dec. 11, is the only known surviving Apple-1 documented as having been sold directly by Jobs, then just 21, to an individual from the Los Altos, California family home, Christie's said. "It all started with the Apple-1 and with this particular machine," said Andrew McVinish, Christie's director of decorative arts. "When you see a child playing with an iPad or iPhone, not too many people know that it all started with the Apple-1," he added. "So to be able to own a machine that started the digital revolution is a very powerful attraction." "I knew it had been sold from the garage of Steve Jobs in July of 1976, because I had the buyer's cancelled check," Luther wrote on a kickstarter page soliciting funding for a book on the machine's history. "My computer had been purchased directly from Jobs, and based on the buyers address on the check, he lived four miles from Jobs." Image: Apple-1 personal computer that Christie’s sold in 2010. In 1999, the Ricketts Apple-1 was acquired by Bruce Waldack, an entrepreneur who had just sold his company, DigitalNation. Waldack eventually lost his fortune, left the country and died in 2007. The Ricketts Apple-1 was auctioned at a self-storage facility in Virginia, where Luther purchased it. An Apple-1 expert serviced and started the computer, running the standard original software program, Microsoft BASIC, and an original Apple-1 Star Trek game to test it out, Christie's said. The computer will be sold with the cancelled check from the original garage purchase on July 27, 1976 made out to Apple Computer by Charles Ricketts for $600, which Ricketts later labeled as "Purchased July 1976 from Steve Jobs in his parents’ garage in Los Altos". A second cancelled check for $193 from Aug. 5, 1976 is labeled “Software NA Programmed by Steve Jobs August 1976.” The checks were used as evidence for the city of Los Altos to designate the Jobs family home on Crist Drive for eligibility for listing on the National Register of Historic Places. 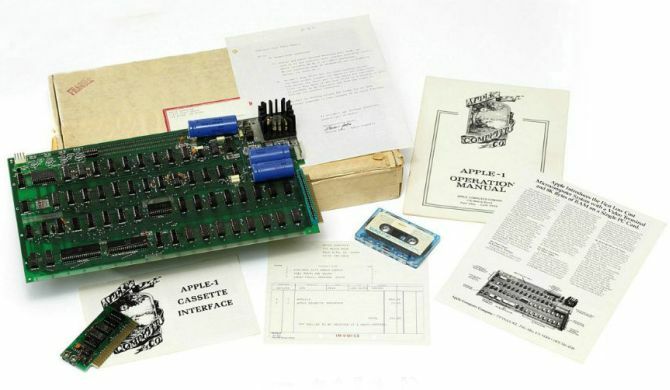 Last month, the Henry Ford organization paid $905,000 at auction for one of the few remaining Apple-1 computers, which was more than twice the pre-sale estimate. Fewer than 50 original Apple-1s are believed to be in existence of the few hundred originally produced.